Get Loss-In-Weight accuracy and functionality using a volumetric feeder for a fraction of the cost of traditional Loss-In-Weight Feeders. 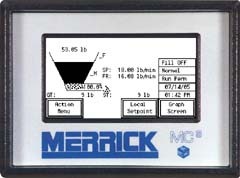 Place a MERRICK Platform Scale under a volumetric feeder, connect the scale to a MERRICK Genetix Process Controller and you have a more accurate feeder as well as a more intelligent device in your process. Precision strain gauge load cell with temperature and barometric compensation. Isolated Analog Input for remote motor speed control. 30.00.EX for continuous Feedrate Control. 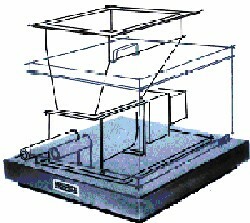 35.00.EX for Weigh-Out Batching Control.